"What Will It Take?" is our main educational project. The conservation movement has made a good beginning. We now know that something is wrong. We have become "environmentally aware". But does this really amount to much? And are most environmentalists in danger of losing their way? The current shallow approach cannot succeed. A new attitude and a wider understanding are required. We need a deeper approach to nature conservation. The "me, me, me" psychology: selfishness. Overpopulation: there are too many people. In October 1999, the human population reached 6 billion (there were only 3 billion people in 1960) and it is still rapidly increasing by 1 million people every four days or so. There were 7 billion on our planet by the end of October 2011 (slightly earlier than expected). More people simply means less space for nature. "I want more": the greed of over-consumption. Avoidance Doesn't Work is the best introduction to our work, illustrated with 120 top-quality colour photographs. This deluxe paperback explains why we have been so unusually successful, describing what is needed for outstanding attitude and performance. If you are interested in our work and have ever thought there might be “something more” to life, this is a "must read" book for you. Holding On is a top-quality hardback coffee-table book that features a stunning new collection of photographic images. Iain has frequently been called one of the world's best wildlife photographers. Tigers, lions, elephants, and wolves are all included, as well as aardvark, black and white rhinos, and meerkats - beautifully photographed in their natural habitats. Each section of the book explores a different subject that should be of great interest to anyone concerned about nature conservation. Iain begins with "Size matters" by making a compelling argument that more land for nature is needed, then tells the success story of how wolves were restored to Yellowstone National Park in the USA, next questioning why tigers and rhinos are still endangered after 50 years of conservation effort. In a final section, he describes how our pioneering deeper approach makes Komsberg Wilderness Nature Reserve in South Africa so unusually successful. What Will It Take? A Deeper Approach To Nature Conservation is still extremely relevant, despite being published way back in 1999. It questions what is going on, getting to the heart of our environmental problems, then outlines a genuine solution. 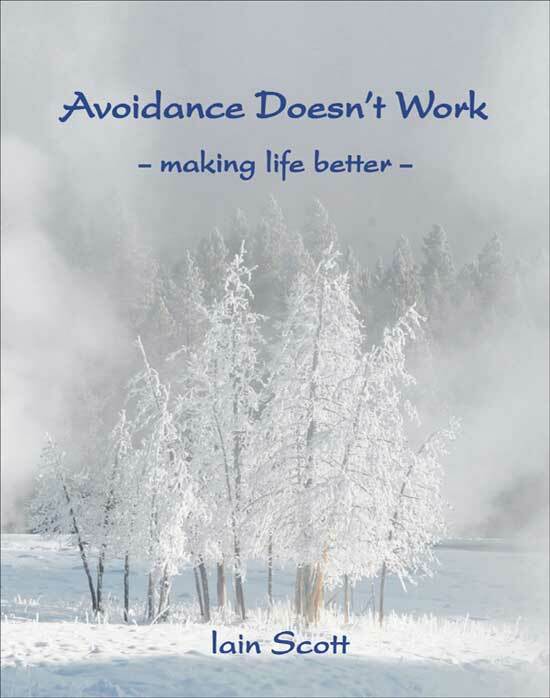 Avoidance Doesn’t Work by Iain Scott, £11.99, ISBN: 978-1-899131-06-8. 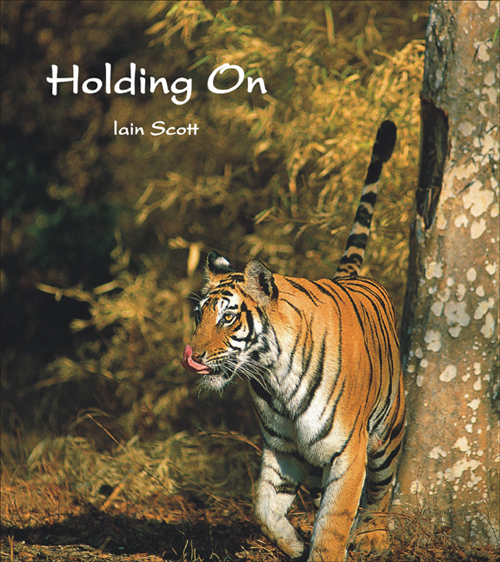 Holding On by Iain Scott, £25.00, ISBN: 978-1-899131-05-1. What Will It Take? 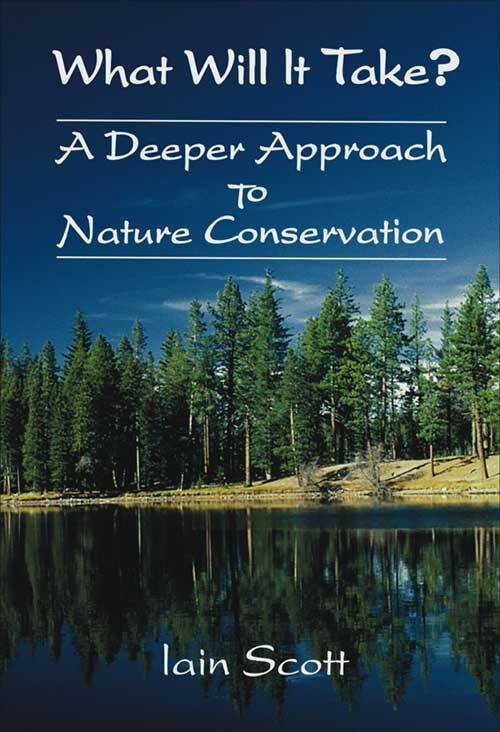 A Deeper Approach To Nature Conservation by Iain Scott, £6.99, ISBN: 978-1-899131-03-5. All the proceeds of these books go to help our work.